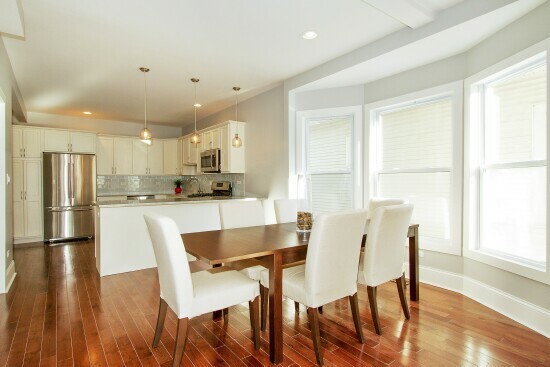 Like new 4 bedroom, 4 bathroom Oak Park home with amazing finishes and abundant space. 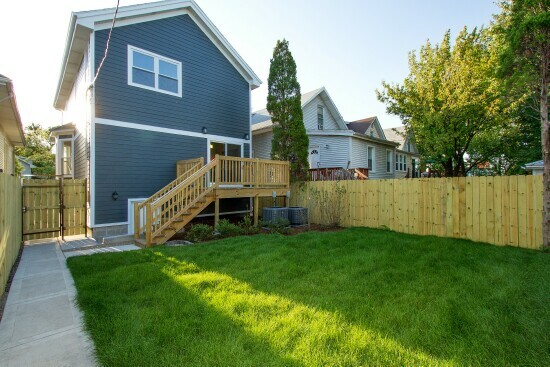 Completely renovated throughout with hardwood floors, high ceilings, bay windows, a wood deck, the detailed oriented builder left no surface untouched. 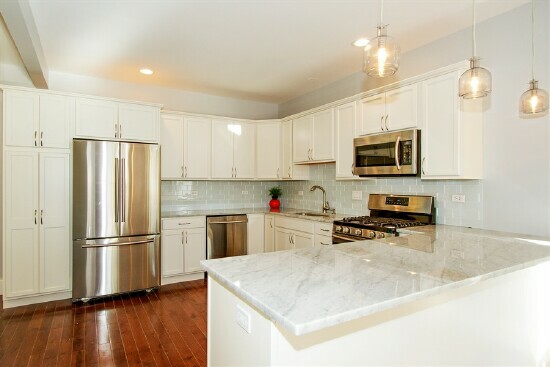 Modern open layout includes a designer kitchen that boasts natural white stone counters, stainless steel appliances and tons of cabinets. 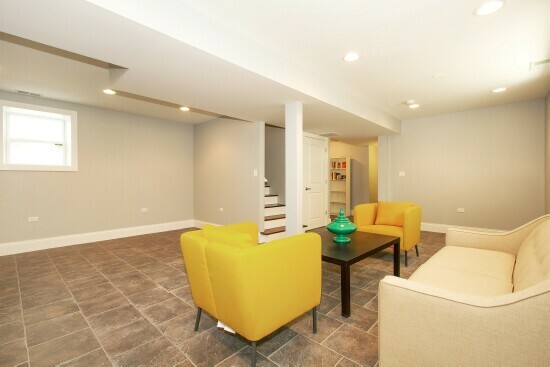 Finished basement features an enormous family room. Large bedroom sizes with plenty of closet space. Premium cement board siding, a brand new 2 car garage and a professionally landscaped fenced backyard make this a must see home. 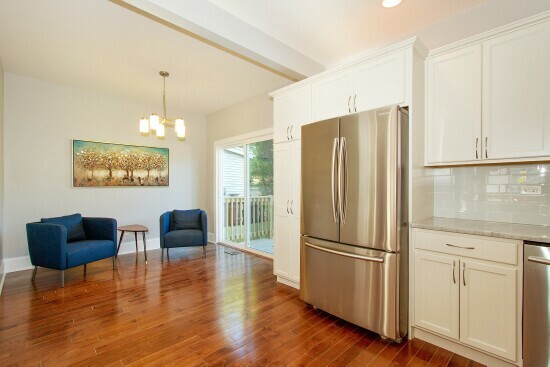 Move right in, ready for your housewarming party! 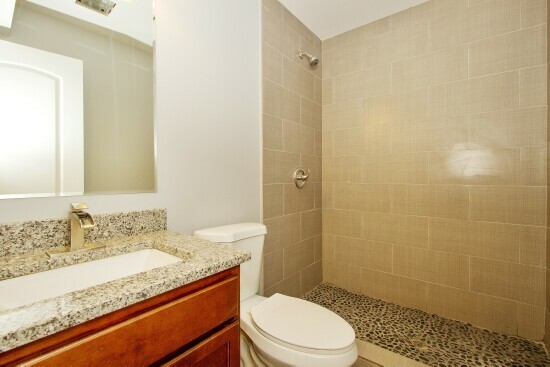 Within desired Oak Park Schools, close to expressway, walk to Blue Line stop. 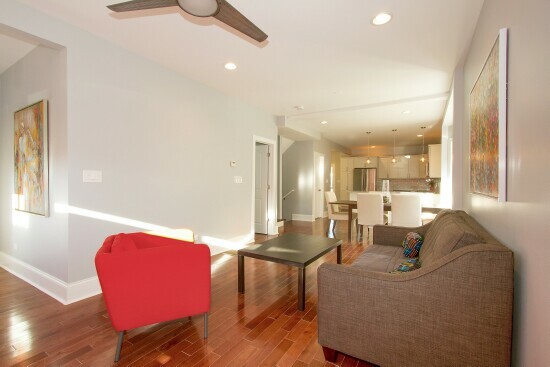 The living room has a functional foyer and spacious coat closet. This west facing house has tons of sunlight all day long. The gorgeous bay windows add charm to the dining room. We love showing houses with amazing kitchens, this contemporary kitchen will not go out of style with its white natural stone countertops. If the breakfast counter is not enough, an additional breakfast area is located next to the kitchen with a wood deck just outside the patio doors. The high ceilings in the basement and plenty of light will make this family room a gathering place. 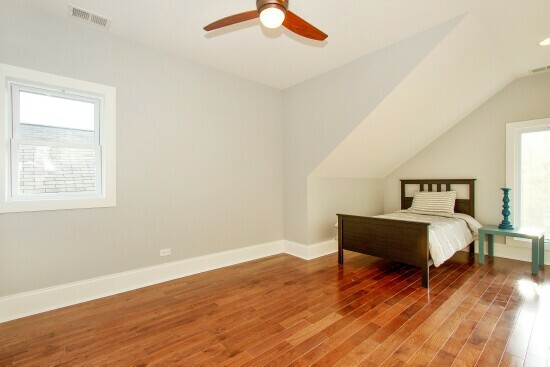 The spacious master bedroom is bright and features an extra large walk in closet and master bathroom. 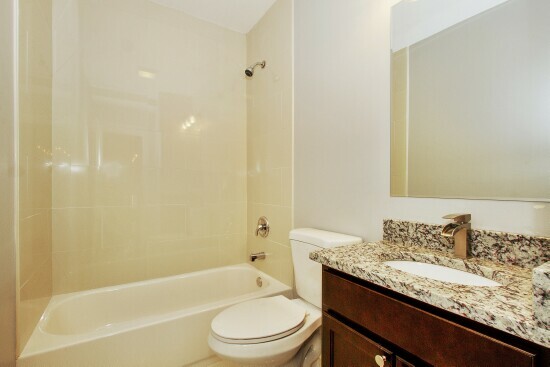 Every bathroom has been tastefully designed with splendid finishes including marble countertops. This house does not have small or dark bedrooms; rarely do we find builders so generous with room sizes. 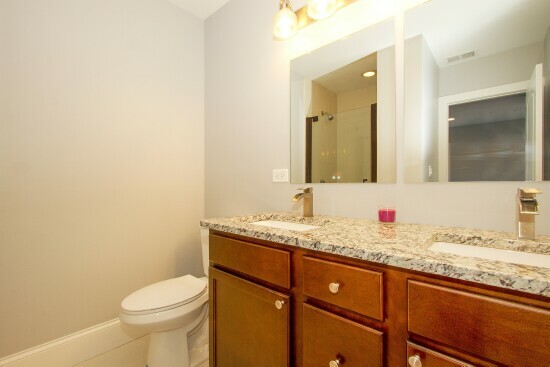 This is 1 of the 4 full bathrooms in the house with marble counters and neutral décor. 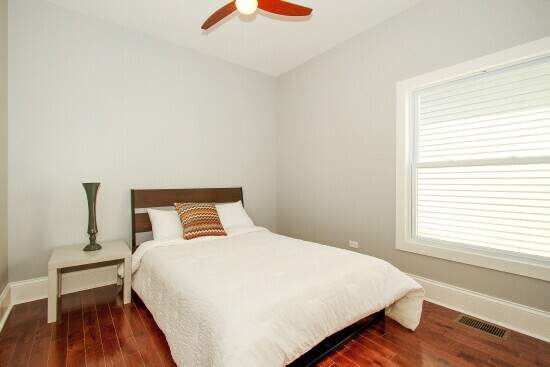 Bedroom 3 is also a good size and boasts hardwood floors, a ceiling fan and tons of light from the large windows. 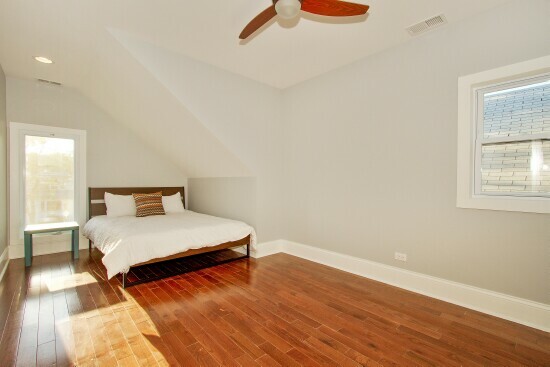 Hardwood floors and a ceiling fan are featured in this bright and spacious bedroom. 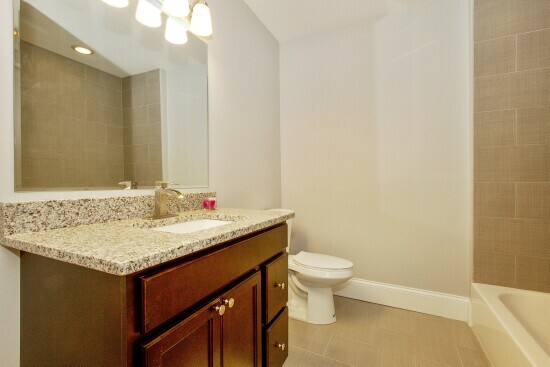 The house features 2 full bathrooms on the second level, 1 on the first level and a 4th on the lower level. You probably lost count of all the bathrooms. 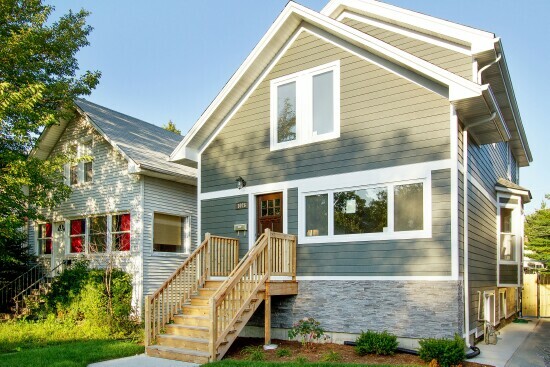 This house features premium cement board siding, beautiful bay windows and great architecture features with a fenced, professionally landscaped backyard.